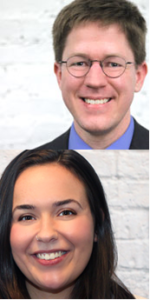 Public Policy Associates, Inc. (PPA) Project Manager Robb Burroughs and Research Assistant, Erica Dalzell, will speak at the annual American Society of Criminologists Conference. Mr. Burroughs will speak on his findings from an environmental scan of national juvenile justice reform initiatives and Ms. Dalzell will speak on her longitudinal study of adolescent youth of color. Mr. Burroughs and Ms. Dalzell will discuss their research on November 14 and 17 with the support of PPA Affiliated Consultant, Dr. Paul Elam. The conference runs November 14-17 in Atlanta, Georgia. Mr. Burroughs’ research findings emerged from a document scan and two-phase interview process. The first phase focused on learning about the implementation of the specific initiatives and included key individuals in organizations leading the initiatives. The second phase was aimed at gaining a deeper understanding of the context and progress of juvenile justice reform across the various initiatives. “We’ve seen a wave of juvenile justice reform efforts take hold across the country over the last 15 years or so. A better understanding of those efforts will help inform ongoing efforts to advance reform,” said Mr. Burroughs. Mr. Burroughs leads the criminal and juvenile justice policy work at PPA. Read more about the conference here. You can also read more about Ms. Dalzell’s presentation here. You can find more information about Mr. Burroughs here. You can contact him at rburroughs@publicpolicy.com or 517-485-4477.